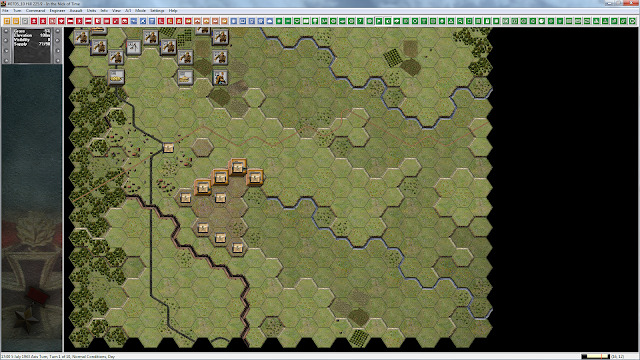 As I am typing, I am playing the Prokhorovka Finale July 12th scenario. The only thing that is missing is the smell of cordite. The artillery, rocket, and other battleground noise is slightly deafening, and this is with the sound turned low. Visually and audibly stunning, let's see how the rest of the game has turned out. This is a review of 'Panzer Battles Kursk Southern Flank' with the new 1.02 patch installed. I will post the 1.02 update changes at the bottom of the review. A game about Kursk has some big shoes to fill. Arguably one of the most important battles of WWII, even if not really the largest tank battle, its place in the history of WWII is gigantic, just like the eastern front it was fought on. It had all of the makings of an epic clash: the immovable object pitted against the irresistible force. In the beginning, it was the Russians that were the immovable object. On July 12th at Prokhorovka, the tide had turned and the Soviet Fifth Guards Tank Army army was trying to blast the three SS panzer grenadier divisions off the map. 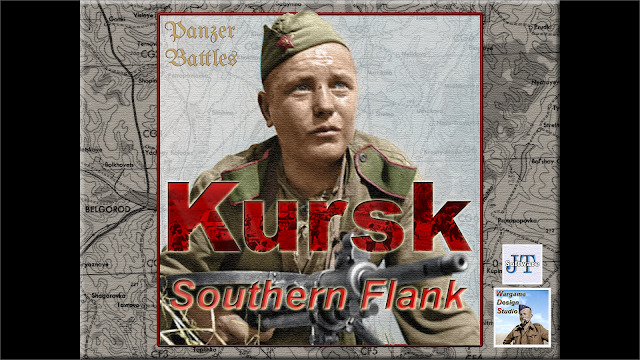 Just like 'Panzer Battles Normandy', Kursk comes with unit component, order of battle, and scenario editors. To let you tinker to your hearts content. The maps can be "chopped" into smaller segments for making custom scenarios. There are 60 scenarios to choose from. They range from 5 to 38 turns in length. The laundry list of updates and improvements just keep getting longer. 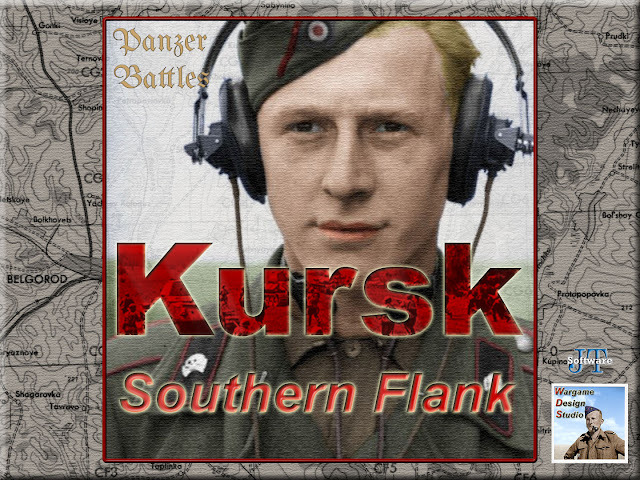 As of now, 'Panzer Battles Kursk' is at version 1.02. There is no reason to assume that Wargame Design Studio won't continue with the practice of John Tiller Software, and keep releasing updates, etc. John Tiller games are still updating some of their games from fifteen years ago. I know for a fact that play testing is a long and nit picking process, and that no matter how many scenarios one of their games comes with, all of the scenarios are tested before the game ends up on your computer. The game play, like all Tiller based games, is meant to provide the player with the most realistic battle situations, and command options available. This does make their games more mentally labor intensive than most. Like most cerebral games, the more you put into it the more you will get out of it. 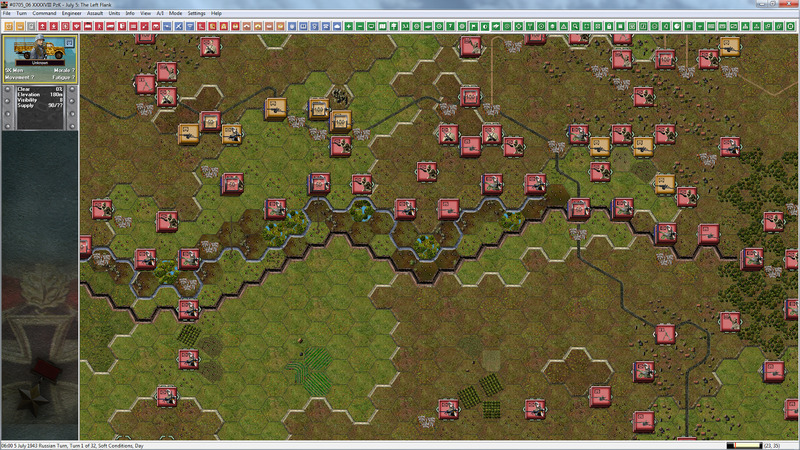 The scenarios with their smaller size, compared to 'Panzer Campaigns', are meant to be nail biters, and they succeed in this admirably. You cannot afford to leisurely play 'Panzer Battles', and decide to just go through the motions for this turn. The AI or your opponent will pounce on your mistakes and teach you a lesson very quickly. 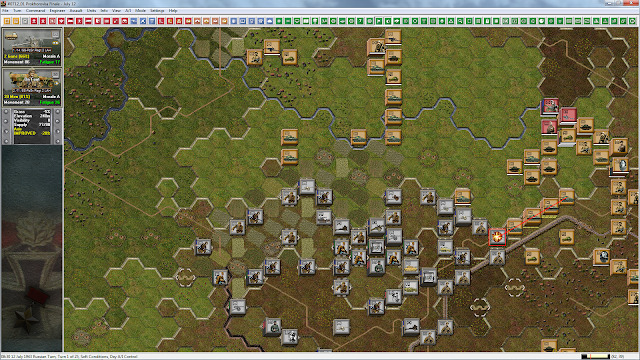 Playing as the Russian, you will need all of your powers and the strength of your units to stop the German juggernaut. A little good luck is also helpful. Playing as the Germans, you cannot afford to make any mistakes if you are to see the onion spires of Kursk. 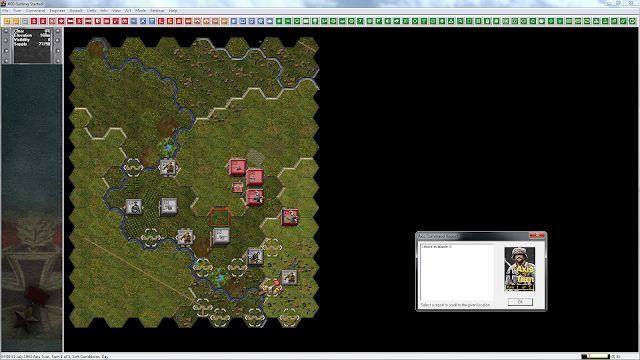 The 'Panzer Battles' games fill a void in the wargaming world. The scenarios included in both the games are either small enough to get in a game before dinner, or large enough to keep you occupied for much longer. Rarely do you find so many scenarios in a game now, and probably never of such diversity. 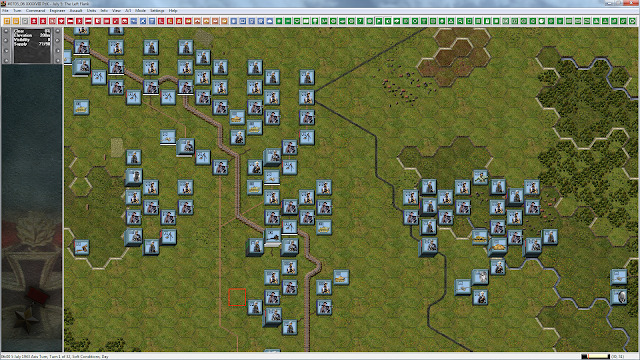 These games, especially with their modding options, should be a big hit with the wargaming crowd. That would be excellent, because then they could afford to branch out into less known and more arcane battles of the period. Some battles have never had games about them, or very rarely. I see on the Wargame Design Studio website there is already a 'Panzer Battles 3' listed. There is also a write up about the creation of a Maleme scenario. I am going to button my hatch now and get back to the maelstrom that was the battle of Kursk. Happy holidays to all and I hope you have a great new year ahead of you. 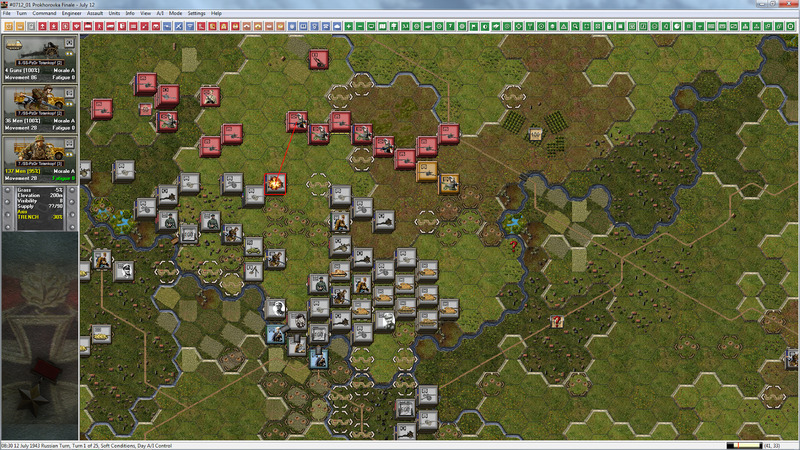 Please also look at my 'Panzer Battles Normandy' review. Included a check that all off board artillery is not placed on the map. Newly implemented: View > Map Elevations, View > Map Coordinates, View > Map Combat Modifiers. New on counter broken and disrupted markings - visible when stacked and unstacked. Updated General Help guide with a revised layout and additional information. Updated User guide with a revised layout and additional information. All manuals are a work in progress and will continue to be rationalised over time. New Toolbar Icons in traditional and standard configuration. Small, Medium and Large versions also available for each. File/folder reorganization, with creation of the following new folders: Data (.oob & .pdt files), Logs (.log files), Manuals (.pdf files), Saves (.bt? files), Scenarios (.scn, .map files etc. ), Screens (various game .bmp files). New logging system (with various .log files in the new Logs folder), to assist in game testing, and identifying and fixing bugs.